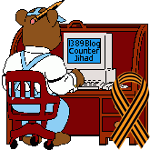 The Trump Do-It-Yourself Vote Fraud Prevention Kit — 1389 Blog - Counterjihad! 1389 Blog admins 1389AD and CzechRebel have been Trump supporters from the get go. Donald Trump has been, and still is, the only candidate who truly gets the counterjihad. Since 1932 there has not been a national presidential election that the Democrat Party has not tried to steal. In 1952, they were simply swamped, a puffed-up liberal versus a national hero. In 1968 and 1980, events beyond their control, but their fault, (the Vietnam War and the National Embarrassment) were simply too huge to hide, lie about, or cheat around. In both cases the people felt a pain from government that hit them personally. And that is where we are today. This 2016 election most closely mirrors the national mood and embarrassment of 1980, only this time the Democrats are not caught off guard with what is being dubbed as the “hidden voters” that carried Ronald Reagan to victory in 1980. Because they have known for some time, I’m quite certain the Democrats have some special tricks up their sleeves, for they need to steal closer to 5% this time than the standard 3%. That’s quite an undertaking. And I can’t offer a fix here, just a way in which ordinary Americans can be involved and possibly make a difference with a few hours of their time. Most of the Democrat plans are based on the belief they won’t be caught or that most criminal events can be trivialized, compared to say the many thousands of votes the GOP tries to suppress with voter-ID legislation. Thwarted by unfriendly state and federal judges, it seems recent GOP gains in the state legislatures have been fairly ineffective in stemming voter fraud by Democrats. A new sheriff in town will help. It’s for the Trump campaign to make this undertaking unilaterally – for in most instances they will not be able to rely on local Republican committees to provide on-the-ground intelligence, as the GOP goes out its way to see or hear no evil out of fear of being labeled racist. Therefore, the Trump campaign would be wise to look for assistance on the ground by directly communicating with the voter integrity groups in the several states. A one or two-hour conversation with them should produce a wealth of names of people who front voter fraud operations; from financial sponsors, lawyers and college professors, to the handlers at street level. We all know that some states, and only some districts, counties, or precincts within those states are more critical than others. But I am encouraging, below, that even in safer states, that volunteers join together to audit as many voting precincts as they can, since, after the dust settles, a type of analysis can be established that can be built upon and used in future elections. I’m hoping the Trump campaign will pick up the baton, and provide a way for these volunteer groups to contact them, and give them a heads-up about their activities in various precincts. This is predicated on the Trump campaign insuring that it has its own trained poll watchers inside the voting precinct, rather than handing that chore over to the local GOP. Those often go all wobbly at the worst times, especially since in many districts, intimidation inside the voting area is a key to their success. So, assuming they will try to steal, here’s what you and 4 or 5 friends can do to verify an honest election count in your precinct. The audit is the main tool in verifying voter integrity, for all you and your team are doing is standing outside the entrance and exit and counting the voters going in the front door and the voters coming out the back door. Most precincts will count 1500-2500 votes over the 10-12 hour period the polls are open. This count will be tedious, so it may be best if you use two teams so that counters can be spelled every 2-3 hours. I recommend a team of six, for you will need some backup if trouble should arise. You can adopt your own count format, but a sheet of paper on a clipboard is all you need. I recommend you stand well away from the place where people line up (most state laws require 100 feet). Step I: Your entrance-exit numbers should match: e.g., 1500 in, 1500 out. You can finish this step immediate at the close of the polls. Don’t leave until the doors are locked. Step II: These numbers should match the official tally once the secretary of state certifies them, and the totals are posted on the State Election website a few days later. Acquaint yourself with this website as soon as possible. It’s a treasure trove of voting history. If you find major variations in Step II with Step I you can do little to effect the election, but notify the Trump campaign right away. Your charts will then become potential evidence. You need to make a physical site evaluation – location of entrance and exit doors as well as other doors that might be used to gain entrance and exit, not necessarily in easy view. It would be helpful for one of your team to be among the first to vote so that he/she can draw from memory once outside the layout of the voting area, especially other doors that may or may not be secure and the location of key personnel. The mere fact that you are outside doing this count may upset some people inside the voting area, so you also have to be prepared for confrontation even though you will be breaking no laws. If you have a Trump contact, send the information to them ASAP. This is also evidence. This is a very simple two-step approach of monitoring attempts at voter theft in your locale. This is what cops and reporters used to call leg-work, like a stake-out. It is tedious and boring, and will likely prove nothing exciting except an on-the-ground insight into how the system works, versus (sometimes) how it is supposed to work.) The Democrats have dozens of ways to steal votes inside the precinct area, but my firm belief is that just in them knowing they are being scrutinized, system-wide, can have a chilling effect on their efforts, for while many of their paid voters who vote several times over many precincts, and actually are treated as heroes if they are caught, and do a little time in the stir, much like hoods who take a fall for the do – their mid-level protectors and planners are deathly afraid of being caught and publicly prosecuted. If the people inside know you are outside “doing something” out of the ordinary it may cause them to change their own procedures as most of them don’t want to get caught. Combined with a stronger surveillance by poll watchers inside, who will not be intimidated, (which the Trump team needs to provide) it could significantly hamper their plans. So then, you’re part of a two-prong defense, just by being there.